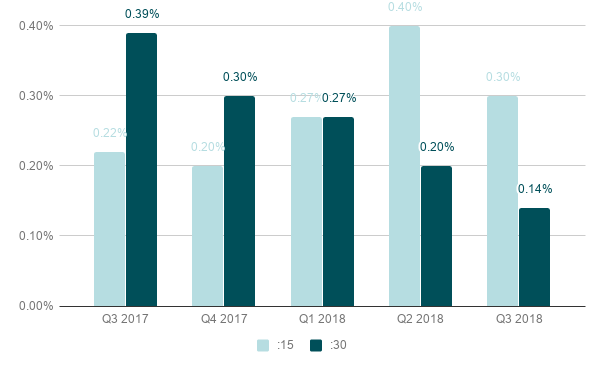 The Click-Through Rate remained quite steady for premium publishers in Q3 with a very slight decrease from Q2, landing at 0.12%. 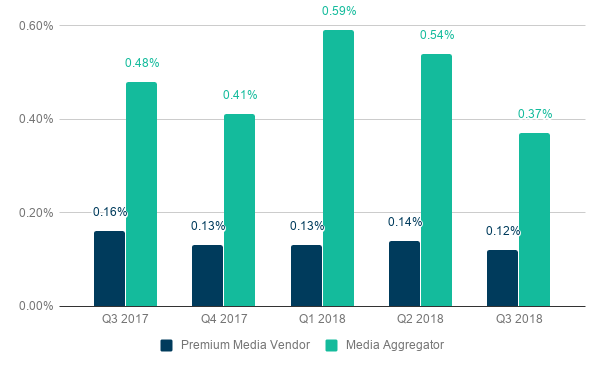 The rate for aggregators, while much higher than that of premium sites, saw a significant decline to 0.37% Q3 from 0.54% in Q2 and from a high in Q1 of 0.59%. Click-Through Rate is generally not a KPI that most marketers prioritize for video advertising. Keep in mind that the fluctuation in these numbers is small, given that all percentages are under 1%. Click-Through Rates for both 15-second and 30-second ads decreased in Q3. 15-second ads are down from a high of 0.40% in Q2 to 0.30% and 30-second spots fell from 0.20% in Q2 to 0.14% in Q3. 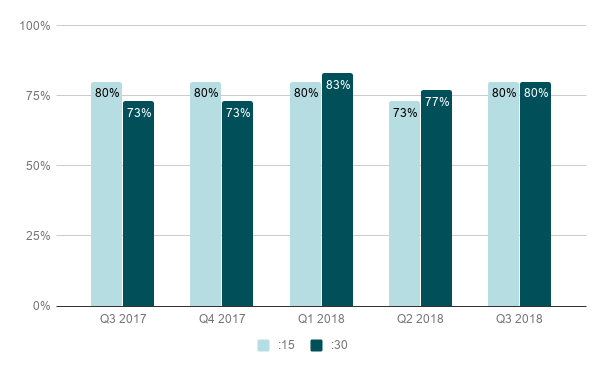 What’s consistent from Q2 is that viewers are less likely to click away from ads during longer spots. 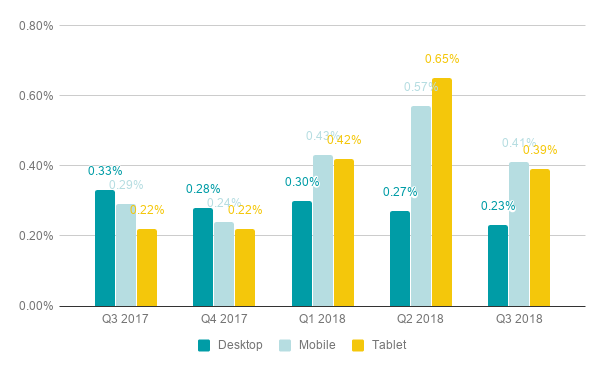 Click-Through Rates on all devices declined in Q3 versus Q2. 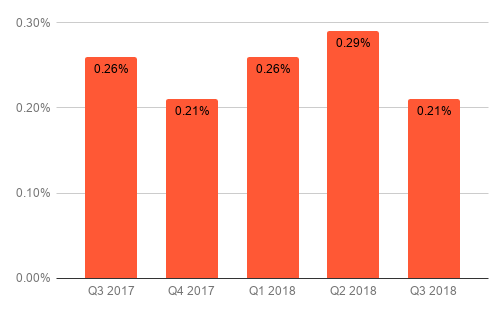 At 0.23%, desktop showed the lowest rate and the smallest decline from Q2. Rates on mobile and desktop fell significantly, landing at 0.41% and 0.39% respectively.